Everything you expect from a three-week tour of New Zealand and then some! Over 24 unforgettable days you’ll experience it all: secluded beaches, jaw-dropping scenery, Māori culture, mountainous ranges, lush rain forests and more adventure activities than you could ever tick off your bucket list. From the idyllic Bay of Islands, through a geothermal wonderland of bubbling mud, traversing mighty mountains and then hiking the blue glacial ice of the wild West Coast, you’ll soon see that New Zealand is filled with many different landscapes and opportunities for adventure! 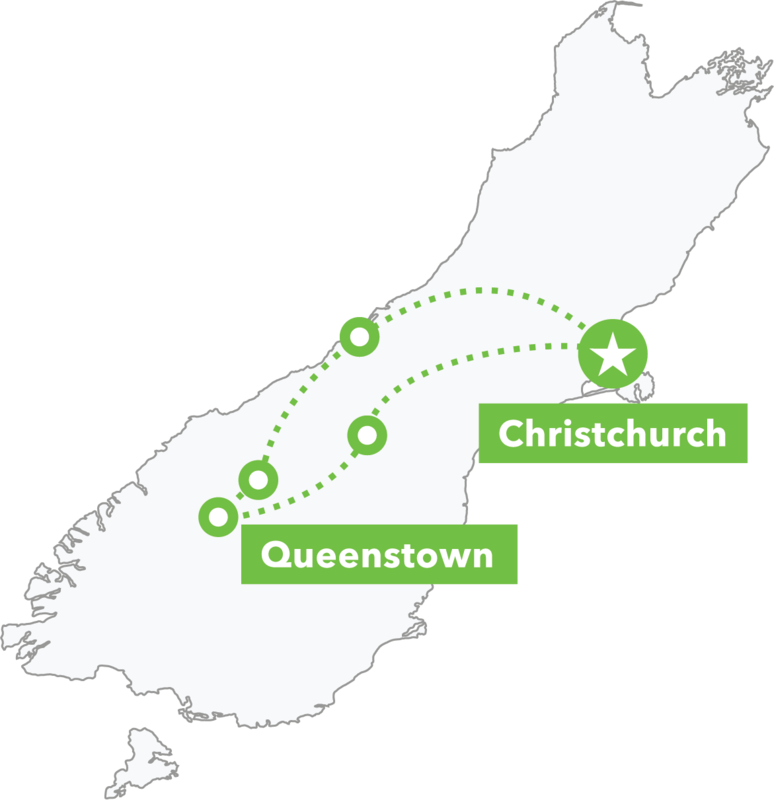 This small-group guided tour of the North and South Island will visit Coromandel, Waitomo, Rotorua, Taupo, Wellington, Kaikōura, Wanaka, Queenstown, Tekapo (an International Dark Sky Reserve), the Bay of Islands, Abel Tasman National Park, Punakaiki and Franz Josef Glacier, with the option to visit Hobbiton, The Tongariro Crossing and Milford Sound along the way. As with all our tours, we do include a few 'must-do' events, ranging from a Māori cultural night to learning to paddle a waka (Māori war canoe), and even a greenstone carving experience. You’ ll see a massive range of optional activities available to add, from bungy jumping and dolphin swimming to jet boating and scenic flights. None of these are compulsory; just add the ones you want. You can select this upgrade when you start building your tour online. Please note: private room upgrades are not available for two nights on this tour: the cultural experience at Kohutapu Lodge in Murupara and one night in MacKenzie Country. Learn about this ancient 51-metre kauri tree estimated to be over 1500 years old. Test your limits and bungy jump off Kawerau bridge – the Home of Bungy. Explore the undisputedly gorgeous golden coastal scenery of this pristine wilderness area. Spend your day exploring some of the 140 subtropical islands, or take a roadtrip to the northernmost tip of New Zealand where the Tasman sea and Pacific Ocean collide. At the Waitangi Treaty Grounds you’ll get an unforgettable insight into Māori culture and the birth of our nation. 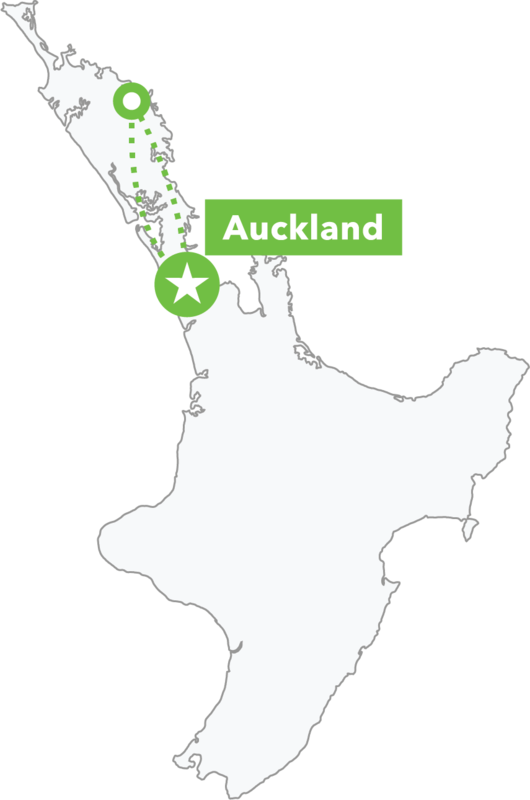 We’ll explore some waterfalls and walks before returning to Auckland. Get your cameras and swimwear ready! The drive to the Coromandel – a paradise of beautiful beaches and rainforests – is epic! Tonight we soak in the beachy lifestyle. Cathedral Cove is begging to be explored by foot or by kayak (look for dolphins!). In Waitomo you can admire a galaxy of glowworms on a cave tour! Ever been black-water rafting? Now’s your chance! We’ll head to Rotorua (you’ll smell it before we arrive) to visit a geothermal valley and meet kiwi birds! White water rafting, zip-lining, rolling down a hill in a giant inflatable ball, or a Hobbiton sidetrip are all options today before our visit to a living Māori village. A volcanic eruption 70,000 years ago created Lake Taupō which is a similar size to Singapore! Skydive over it, sail on it, or skim its surface from a bungy leap. Get your pulses racing in Taupō! Or head to Spa Park and soak until your fingers are wrinkly. The impressive Tongariro Crossing day walk is an option today. Today’s drive includes some unmissable mountain scenery. Film buffs can make a Weta Workshop pilgrimage and everyone will savour great food & drink in New Zealand’s capital city. Famed for its coffee and infamous for its wind, we’ll explore Wellington before taking a ferry journey across Cook Strait, through the Marlborough Sounds to the South Island. Oh! The sea critters you’ll meet! Swim with playful dolphins, do a spot of whale watching and say g’day to some cute seals before we head to Christchurch. We check out Christchurch before heading to the turquoise lake and majestic mountains of Tekapo. The tiny Church of the Good Shepherd on the lakeshore is Instagram gold. After spending the night admiring the stars in an International Dark Sky Reserve, we head to the South Island’s adventure playground for some action-packed days. Bungy-jumping, canyon swinging, jet boating, horse trekking, 4WD venturing: the question is what aren’t you going to do in Queenstown! A trip to Milford Sound is an option today. Cross the mountains into the slightly quieter but no less beautiful, lakeside town of Wanaka. Take a hike, bike ride or scenic flight to enjoy the best of Wanaka. Wake up with uninterrupted views of Lake Wanaka and the Southern Alps. Many Haka Guides rate today’s scenic drive to the UNESCO World Heritage Area as their favourite. Get ready to be wowed! Heli-hike the glacier or kayak glassy waters with panoramic views. Today you’ll get to carve your own greenstone pendant. Behold incredible coastal vistas as we road trip up the wild West Coast. Catch an epic sunset then settle in for a night at a hidden rainforest retreat. Unplug and stroll through the rainforest to a chorus of birdsong. We’ll visit Punakaiki’s limestone Pancake Rocks, and you have the option of going cave tubing! Behold! More epic scenery is on show on the way to the golden Abel Tasman National Park! We’ll stop in artsy Nelson before our next remote hideaway. Fair warning: you may just fall in love today as this idyllic region is ready to woo you! Kayak, hike, go canyoning, or just relax at a golden beach. Learn to paddle a traditional Māori canoe before we head to Picton. We’ll sample the wares (including New Zealand mussels!) in wine country, then catch the evening ferry. It’s the last day, and time to swap contact details with your road-trip mates! You can linger in Wellington, or hitch a long-haul Haka bus transfer back to Auckland.